I have always wanted a tweed jacket. 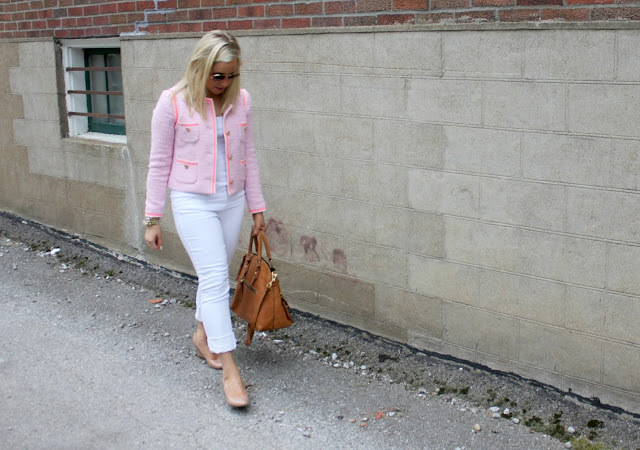 When I saw this jacket on sale +40% off I knew it was meant to be! 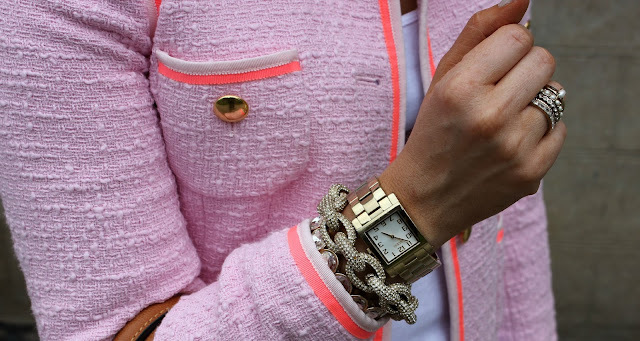 Love pink and the pop of orange neon! Perfect for freezing cold rooms at work! The tweed jacket is so timeless! The whole outfit looks great together! Loving the jacket! Just invested in a J Crew tweed jacket as well! Love it! So glad I got this! I LOVE your tweed jacket, the color is amazing! That tweed jacket is so sophisticated and chic! I LOVE that jacket, so cute! I am loving that jacket! I love that you paired it with white so it really pops! That jacket is adorable and will look great with so many things! I'm a little jealous... love this look! Thanks Nikki! So glad I got this jacket! I have been wanting one for a while! This jacket is beautiful :) Great look! Absolutely love this jacket!! It is adorable!! Thanks Kelly! You are so sweet! The jacket looks lovely with your white ensemble! This jacket is so pretty...love the color! I especially love your earrings too. LOVE that tweed jacket! I'm keeping my eye out for one for fall. Love, love, love the jacket! The color looks gorgeous on you! 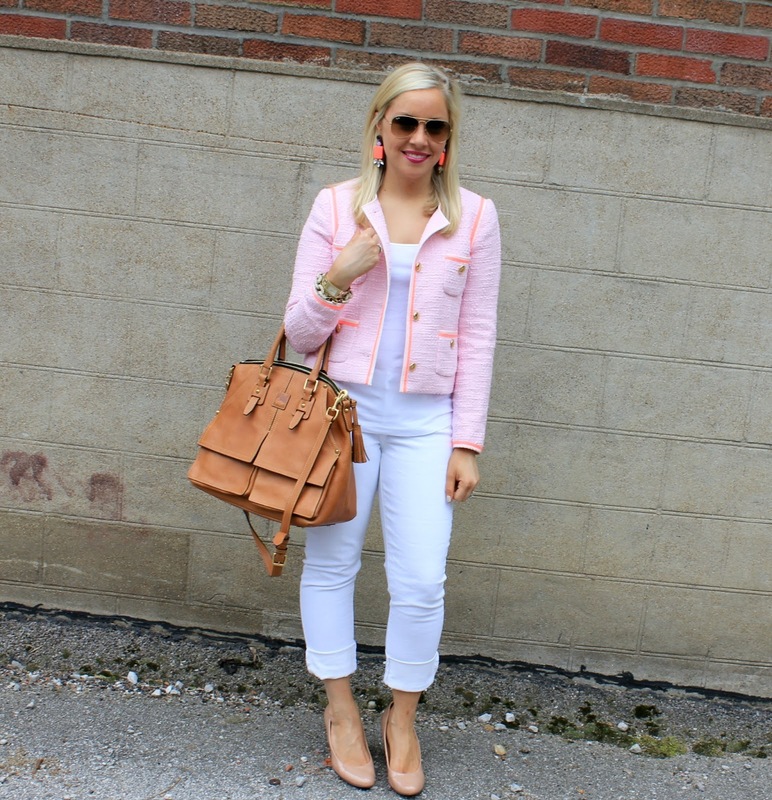 Gorge J.Crew jacket on you! I really want that gorgeous jacket! Now I'll be on a style hunt for something similar! Loving your tweed jacket. I bought on from H & M in Spring and i love it. So versatile.